This is a copy of the original thread in the old message board. 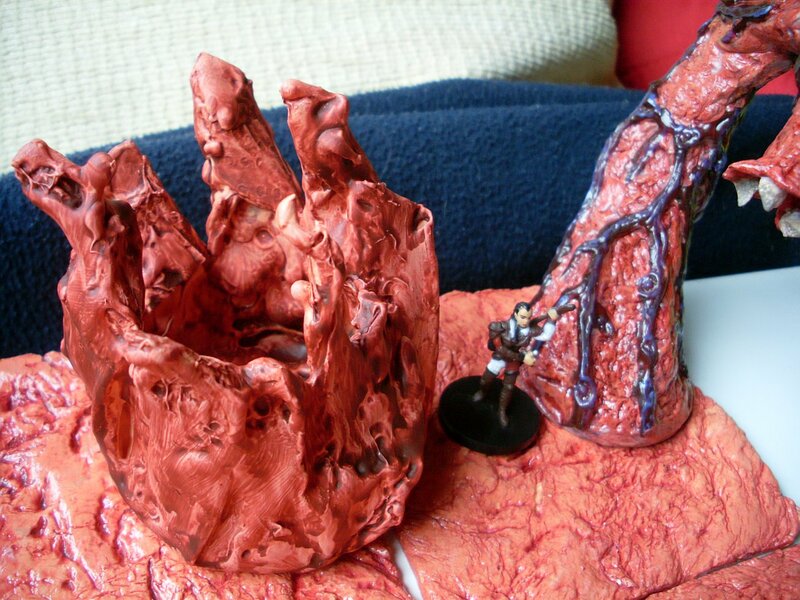 After (almost) finishing the fleshy tentacle (see here), I need dungeon tiles with the same 'living flesh' look. 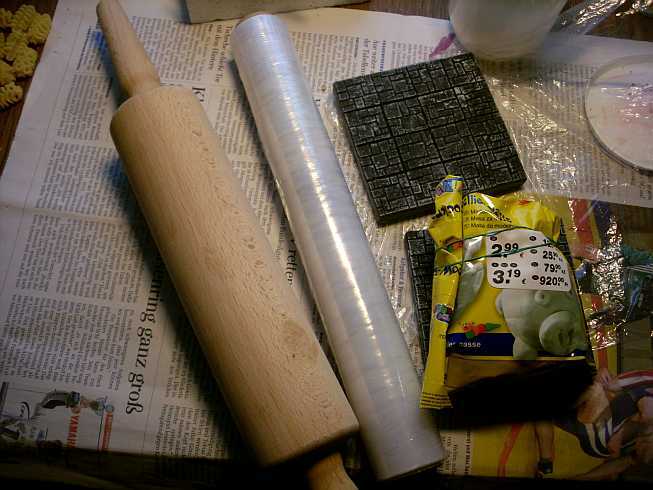 I wrapped the clingfilm around the rolling pin (this step is not really required, but it prevents your wife from becoming mad at you when she sees the clay on the rolling pin) and rolled the clay out until I could place 2 x 2 dungeon tiles on it. 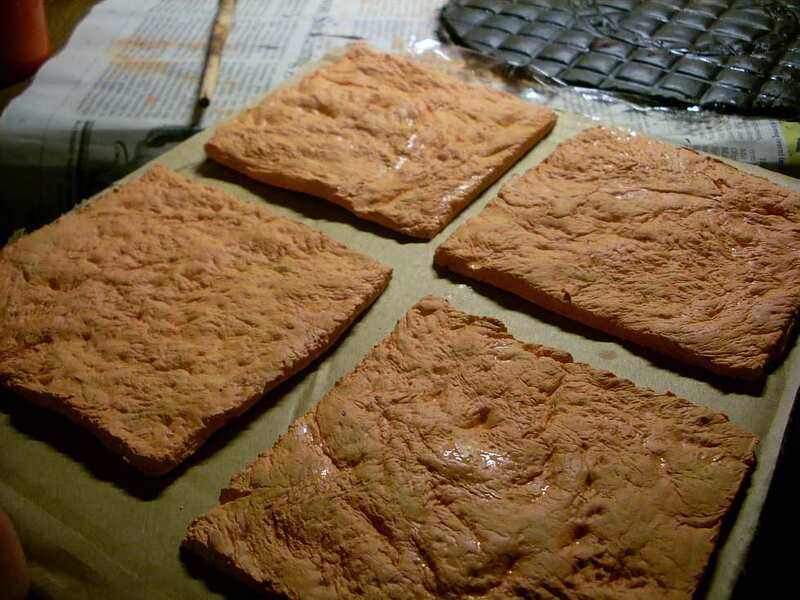 I cut the clay with an knife and lightly* rolled the bark over it several times . 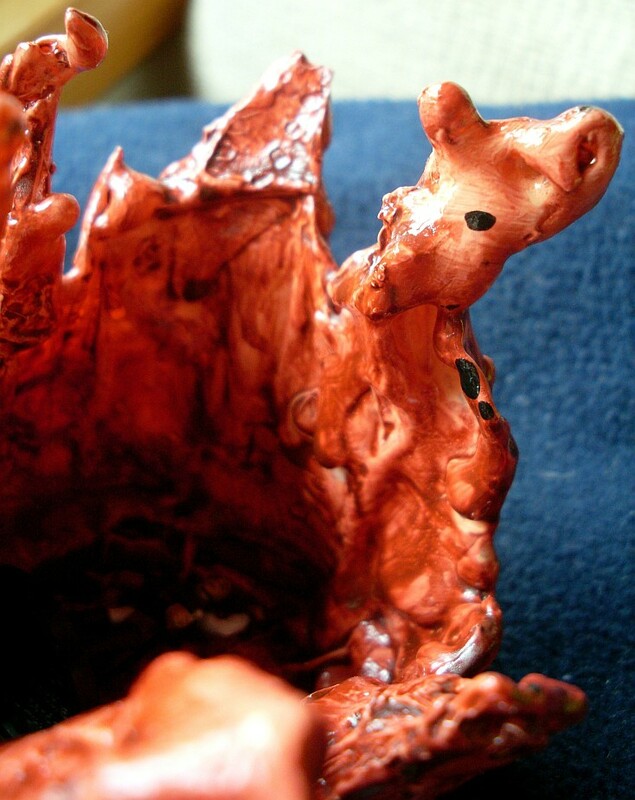 * Take care not to press doen too much, or your clay will bend out of the suqare shape. 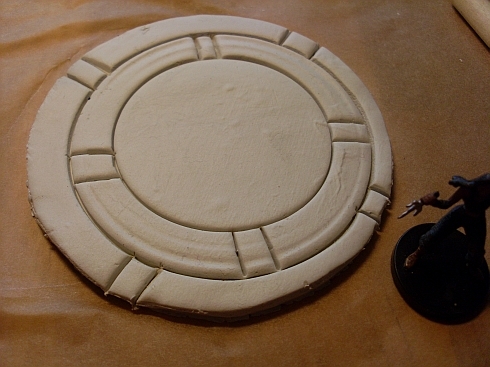 I'll leave this to dry (wonder how much it wil shrink...) and then paint it up the in same color scheme as the tentacle. I will also do tiles with several irregular sides, but I figured I'd better start with modular tiles that are completely square. 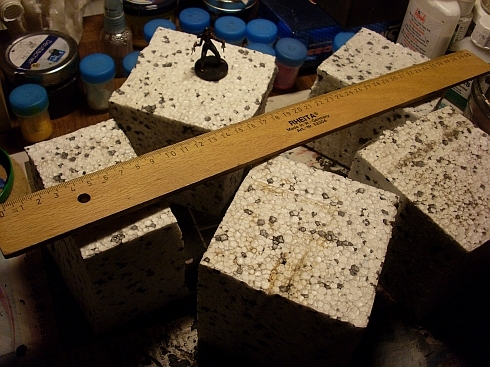 After doing the Torog tiles, I did another large tile (measuring approx. 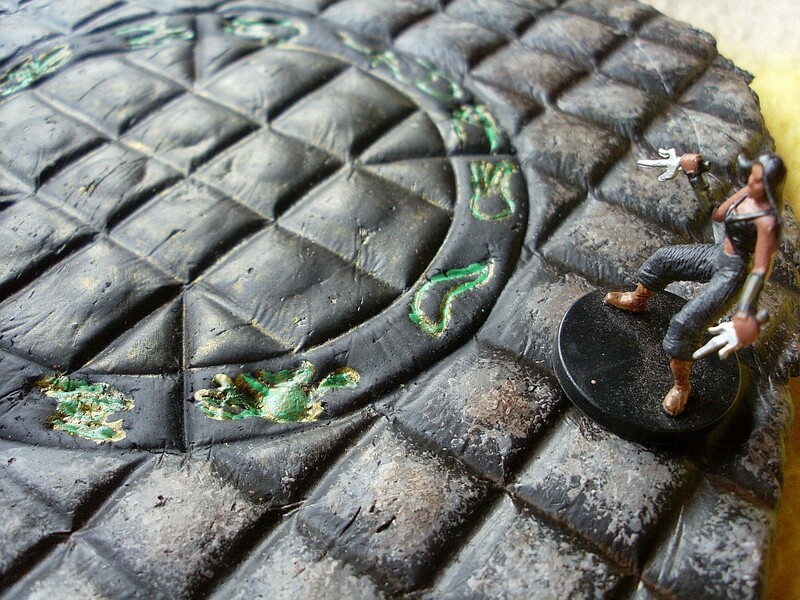 2 x 2 of the torog dungeon tiles). 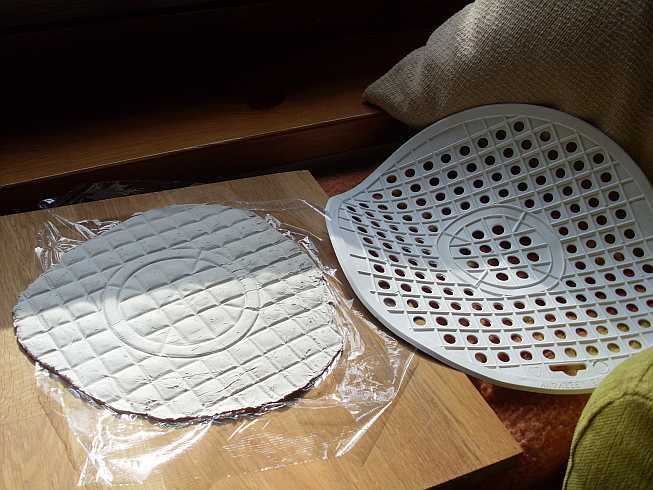 We have a plastic thingy* for the kitchen sink that I have wanted to use as a 'clay stamp' for months. * What's this thing called in english? I figured this would make a great paved tile with a round structure in the middle that can be used as arcane / summining circle or just a nice-looking piece of pavement. 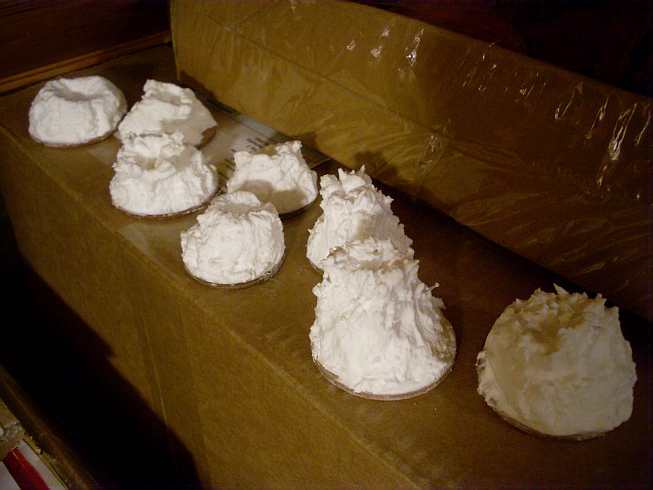 I put the clay between to layers of clingfoil (= angry wife prevention) and rolled it out until it was thin enough, although I fear I have rolled it a bit too thin... I'll probably have to glue it to a stron carboard base to prevent it from breaking. 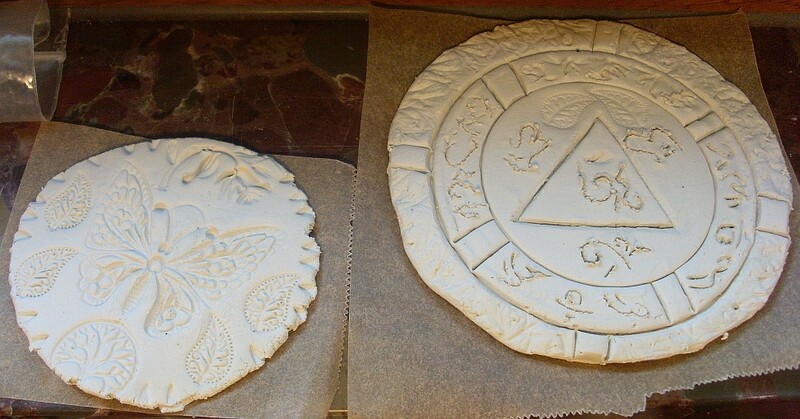 I will leave this until it is almost dry and then try to engrave some runes in it. the additional irregular texture on the 'pavement' is from the clingfoil, but I like that effect - looks like ageing cracks. Update: After ~ 2hrs, I gave it a try and see how well I can engrave some runes. 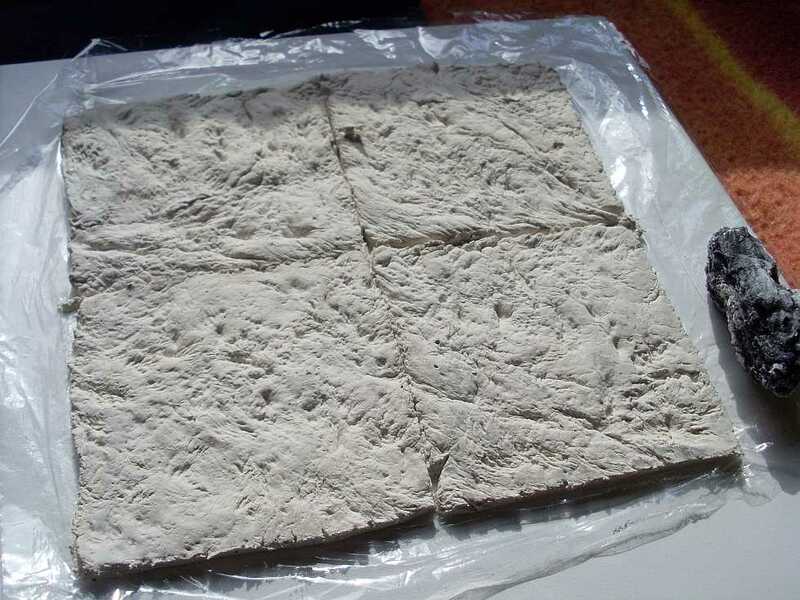 Turns out that waiting wasn't a good idea - the clay gets rubbery as it dries and it is almost impossible to engrave fine structures like runes / glyphs into it. Lesson learned here: engrave fine details while the clay is fresh and malleable! I think it is just called a strainer as it strains the garbage from the water going down the drain. 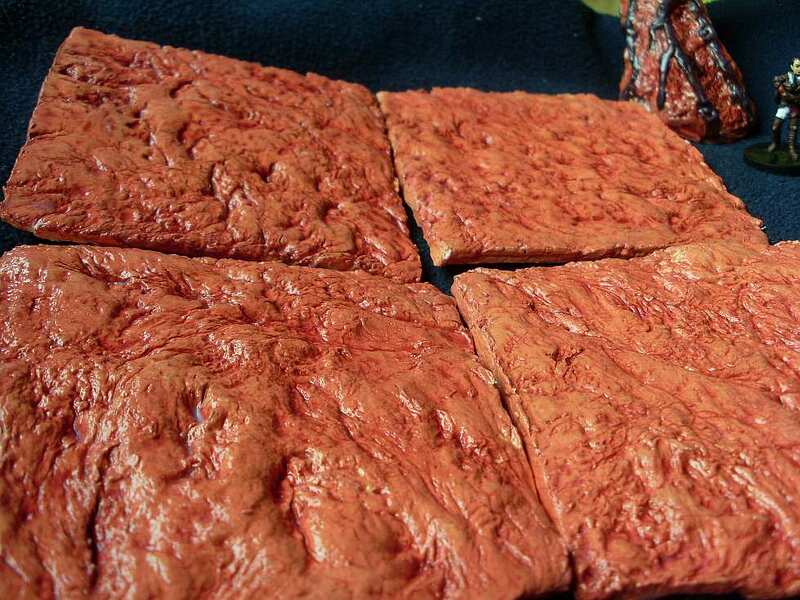 Nice texture on the flesh tile. I'm really happy with the fleshy texture, and even more with the way to produce it. Just find a rough piece of bark (willow is great) that is round enough to be able to roll it around. Very nice work, great idea. 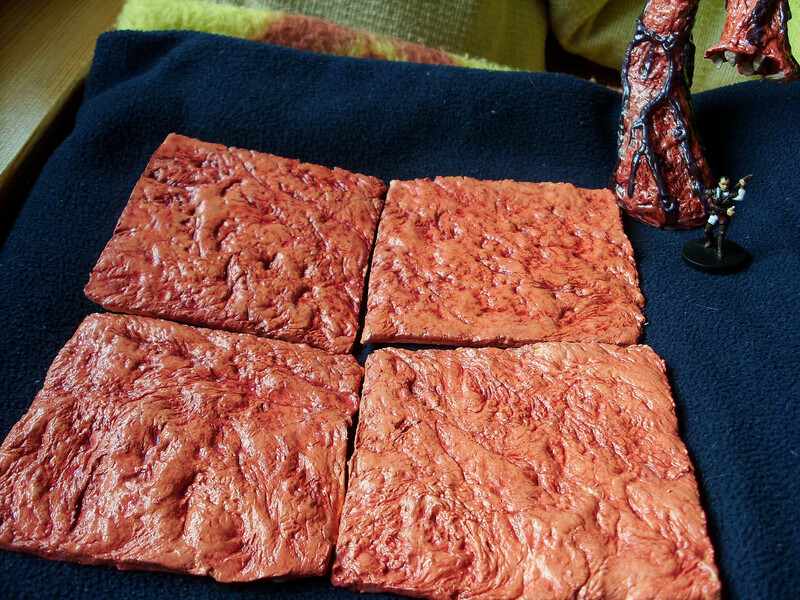 I made a fleshy tile for an upcoming encounter a few weeks ago out of toilet paper. I think yours is going to look much better. I made some progress on the tiles. In fact, I completely finished the first batch - 4 tiles in total, so nearly not enough for an encounter. Again, the acrylic gloss varnish totally makes the difference! Without it, well... the washing step already brings out the fleshy optics, but it looks still 'dry' and you would need to suspend your disbelief quite a lot to immerse yourselve in the mood I want to create with the tiles. But after the gloss - BOOM! 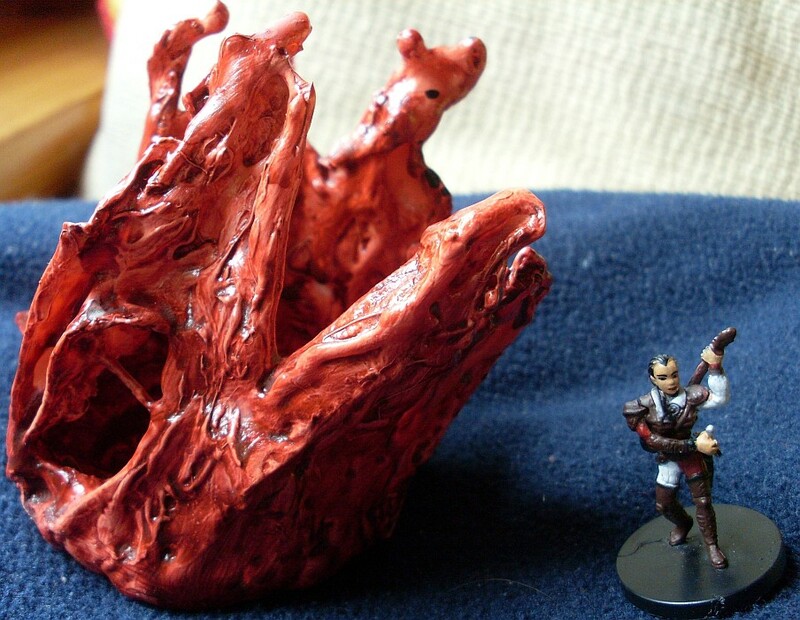 - You invariably cringe when you put your character's miniature on the fleshy, icky, sickly-looking ground, hoping that the it is strong enough to stand upon. Lesson learned: Take care with the acrylic gloss varnish, avoid brushing it too much as this causes small bubbles to be trapped in the varnish (it gets 'foamy'). It dries so fast that these bubbles stay in, making it look opaque and not translucent (i.e. invisible) anymore. Some time ago, I needed little (i.e. approx. man-high) 'mounds' as base for the dried lotus pods. I painted them really simple, just dark brown. 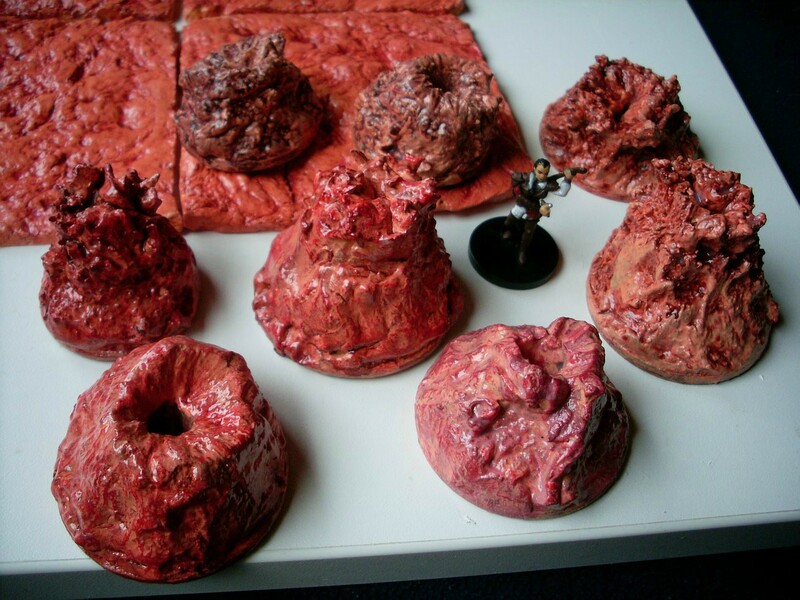 I made a few more because I wanted to use them later as 'egg-containers' - think Alien or Warhammer's Tyranids. 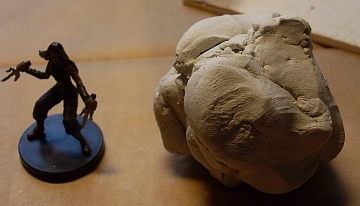 I even kind of basepainted them with a very watered-down brown, which got soaked up by the leightweight sculpting mass, so that almost nothing remained behind. 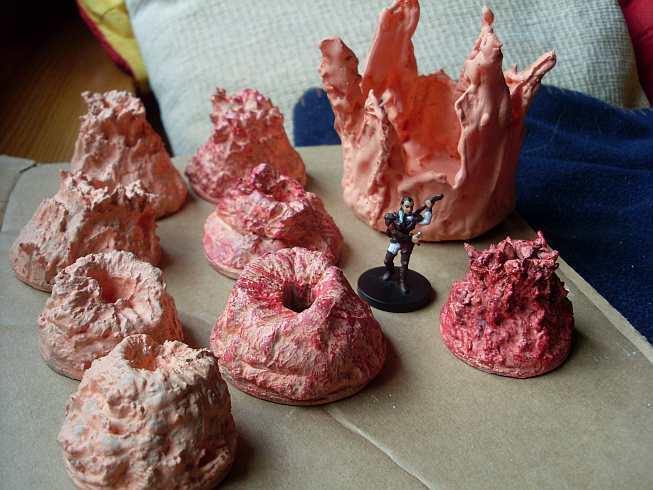 I tried finding some color scheme I liked, but nothing really convinced me, so all unfinished mounds went in a box. 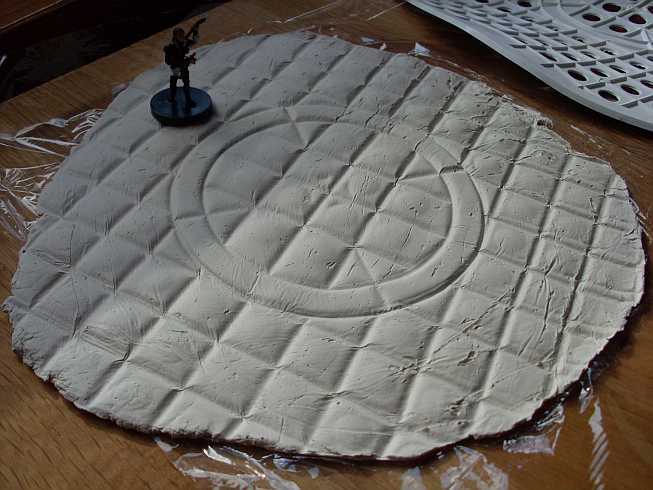 Fast Forward to yesterday, when I completed th four fleshy tiles and suddenly remembered the unfinished mounds. Bingo! Long story short: I basepainted them fleshy and tried the washing effect on onw of them (watered down dark purple/mauve), adding a slight drybrush (scarlet/carmine red) after that. 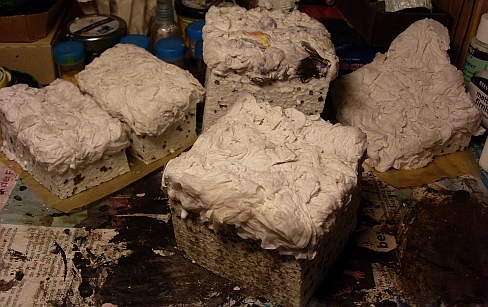 Half of the remaining mounds were drybrushed as well, but I will wash them later - I want to see if there is any difference when you drybrush first and wash later. The rest is still only basepainted fleshy, as I want to leave some to experiment with other colors later. 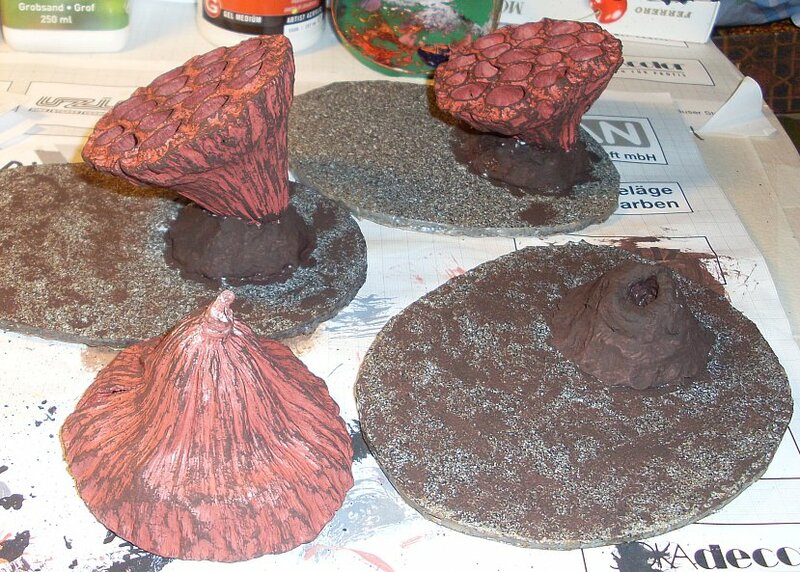 All mounds have been painted; I used several slightly different pinting methods and color schemes to see what happens. I'm happy with most of the results, although I like some of them better than others. You can see that there are many different shades, which is OK because after all, these things are organic - i.e. they grow, and that means that they are supposed to be different. I'm toying with the thought to give these different color shades an actual meaning. Maybe the darker ones are old growths and in a dying stage, while the ones with more reddish tones have a highened blood circulation and are more active: Something is about to emerge - how soon....? The former Gorgon's Mud is not finished yet but has receives the first washing. I'm not really happy with it because the brush strokes are very prominently visible. Those flesh textures are totally creepy. I would not go near that stuff if I was playing in your game. The gloss varnish on the converted Gorgon Mud dried, so this is another finished piece for the Torog-Subplot of my underdark campaign. 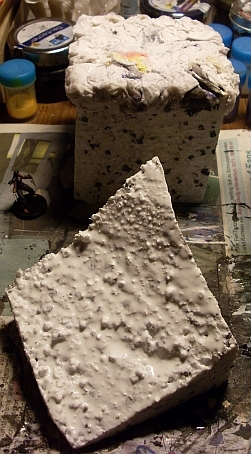 During the sculpting, I tore a large hole in the wet paper and left it to harden. Then I carefully created a hotglue strand from one end to the other. After painting & varnishing, I find the resulting effect simply ...scary. I absolutely love this effect! These black spots look totally out of place, like a skin disease. If this flesh-thing had skin, this would be a black cancer. 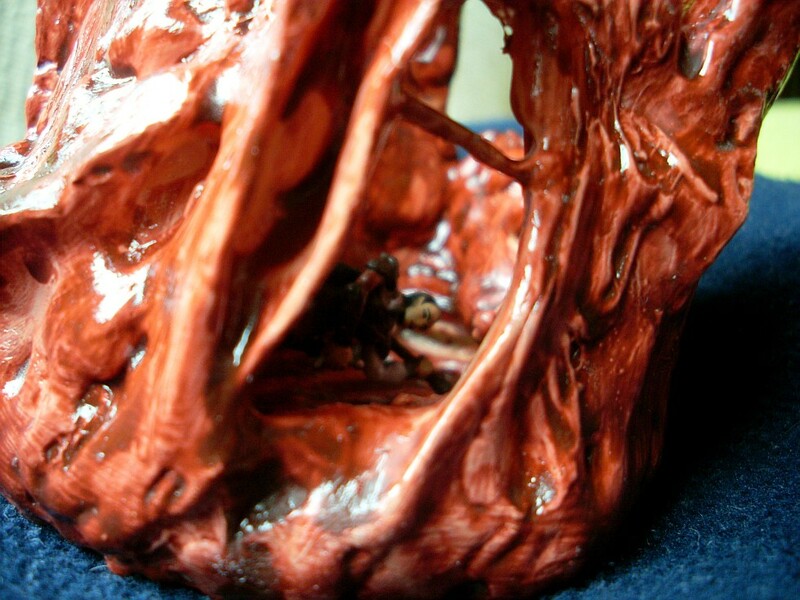 This adds to the general creepy-ness of the sculpt, which is already very high on the creep-o-meter. I concentrated on irregular tiles, i.e. not the 10x10 cm squares I did initially. I made two with 10 cm long sides that can be put next to the squares, but the others are completely irregular. I will do some more large (15x30 cm or even larger) rocky terrain cardboard tiles with metal scraps glued in between the rocks. Only this time I will leave some areas completely empty, so that I can put the irregular flesh tiles in there - and still use them without the flesh in future encounters without the Torog theme. As you can see, I modelled in some folds and humps. I figured that this will not only look 'nice' (where 'nice' means 'creepy' of course), it also will cause the players all kinds of headache or goosebumps while they try to figure out what's below these raises. Or how to avoid anything bursting from it. Nice work man, you've really achieved a truly horrifying look. I've picked up my share of skin infections from the jiu jitsu mats, so I totally cringed at that. Thanks for sharing the finished tiles and the process. Color reference: 1st batch vs. 2nd batch vs. fleshy tentacle... I'm satisfied with how the colors match. It's not completely the same, but as written before, since this is an organic setting, variances are OK. 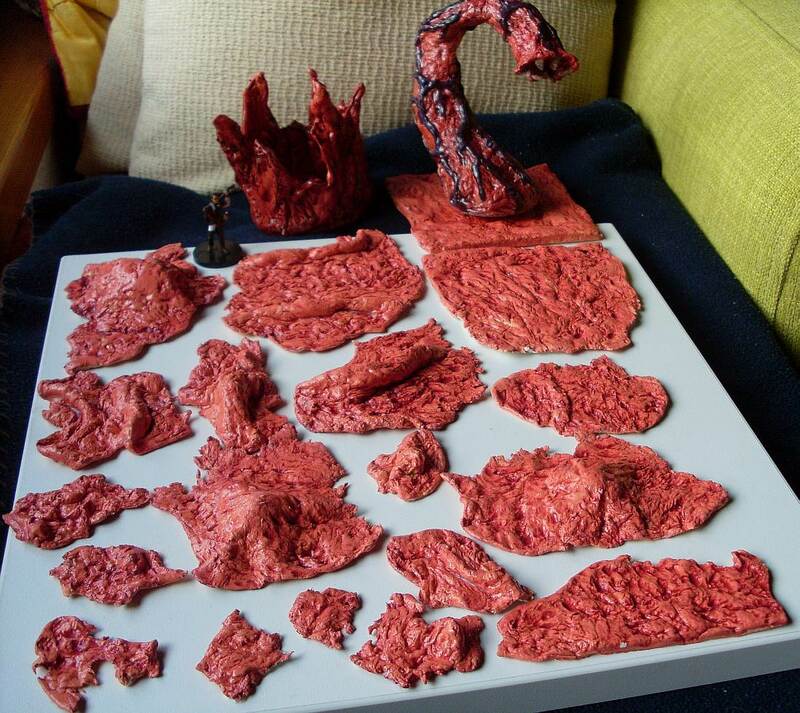 The tentacle and especially the converted Gorgon Mud are a bit darker, but so what. I don't think it will diminish the horror. 1) Before doing the 2nd batch, I was a bit sceptical whether this is possible at all to 'go 3D' with it and add all those veins, humbs and bumps. Only after I accidentally pushed a little too strongly with the bark I use for stamping the texture (see postings above for details), I realized that this is ridiculously simple! You just take your piece of bark and shove the clay sideways into a hump until you like what you see. A cakewalk. 2) Thickness: The 2nd batch is considerably thinner (~ 2 mm, sometimes less) than the square tiles of the 1st batch (solid 3 mm strong). 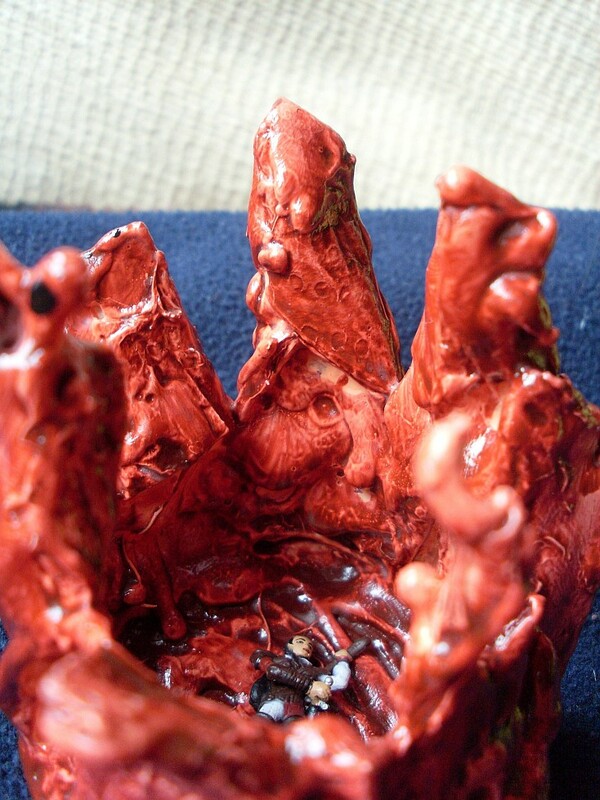 I even have ripped some holes in the clay where I pressed the bark too strongly into the clay, but this is OK since it creates a disgusting effect of open pustules (juck!). Interestingly, applying the acrylic transparent gloss varnish changed the thinnes areas: Before the varnish they broke very easily, after the varnish dried, these parts became a bit elastic. I still have to glue the larger ones on pieces of thing but strong cardboard to prevent them from breaking. 3) Color: ...surprises me every time. After I basepainted them with the fleshy color (sorry, no picture), I had some serious doubts whether I've mixed the right shade, even if it looks almost the same as the rest of the paint I had kept from the 1st batch. Only after whashing it with a watered-down reddish purple and seeing this color dried (takes several hrs), I was convinced that it's OK. Still I was unsure how it would look after varnishing it, and I had absolutely no idea if the color schemes between the batches would match up. With all the doubts during the different stages, it turned out everything was totally OK and worked out very well. So the lesson learned is to be a bit more optimistic and/or confident in future projects. So far I haven't really ruined anything, and taking risks while crafting seems to be rewarded. 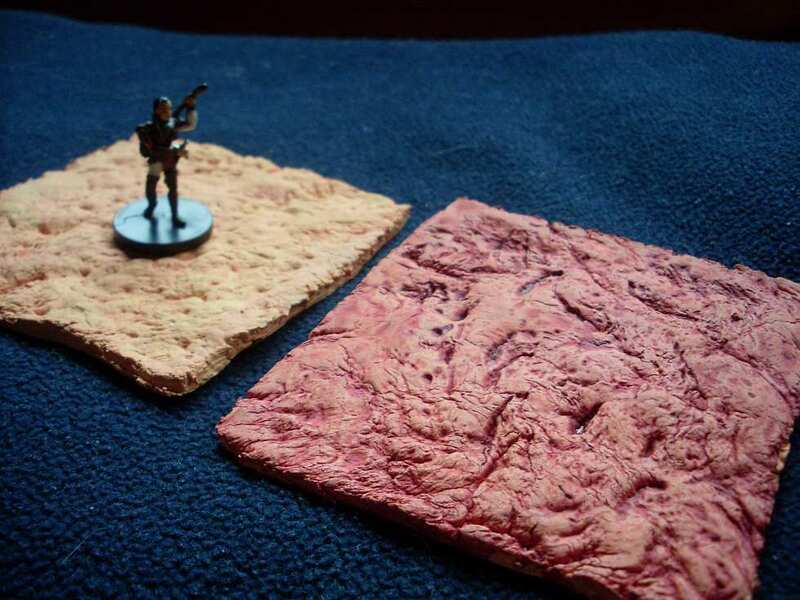 I still need more regular square tiles, and some large 15x30 cm cardboard terrain tiles with rock chips glued on and empty patches where I can flexibly put the small flesh tiles from batch two. 2) The Mother ...yes, with a capital 'M'. 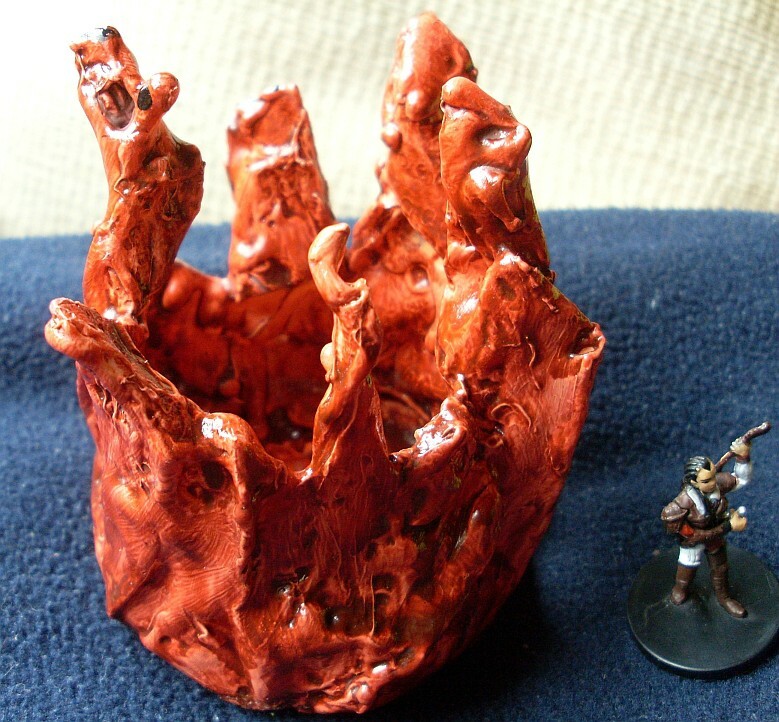 My main motivation (and concern) at the moment is the centerpiece for this theme set: I want to do something like a deepspawn* that is about 10x20 cm large and at least 5 cm high. With multiple eyes and mouths and removable tentacles. * Basicaly a monster that can create multiple clone of creatures it eats. The clones are intelligent, indistinguishable from their original and totally loyal to the deepspawn. Click here and here for more information. It will be the mother of all the lizard tribes the party will have meet (and probably battled) in the sessions before. These lizardmen will be backed up by improbable allies: kobolds, even one or two svirfneblin (good or neutrally aligned deep gnomes), one or two giants, perhaps even some real monsters like ropers. As far as I know my players, they will already suspect that there is some unifying figure behind these combos. 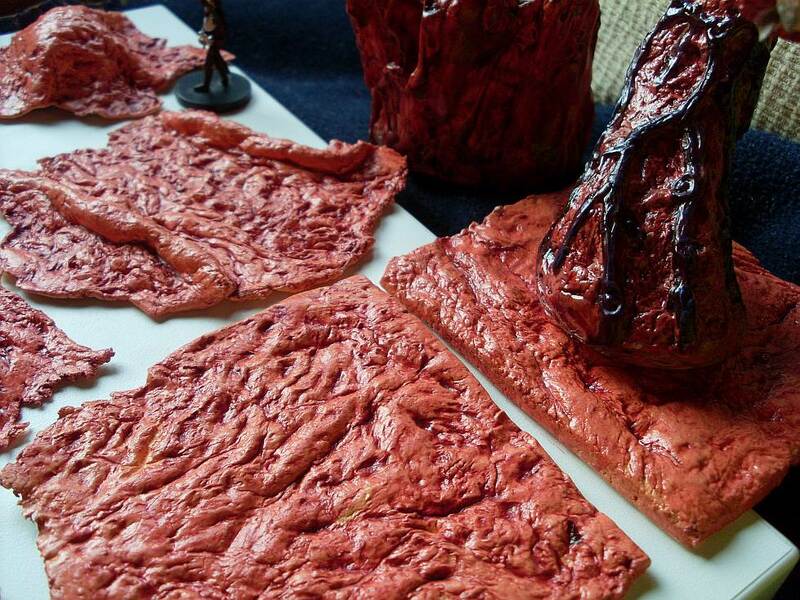 My players will be led to think that all this festering flesh growing in the tunnels and caverns is the ancient remnant from Torog's travels. After all, this is what they know as common underdark history. 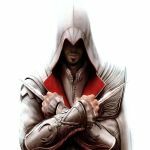 But Mother lairs in a cave set wherethe aboleths dumped ((i.e. teleported away from their laboratory, just to get rid of it) a failed summoning circle centuries ago (see 2nd posting of this thread, plus future updates). The arcane & psionic 'residual radiation' of the still-not-completely-inactive arcane circle (artifact-level power at the time of it's creation), combined with the longterm influence of Torog's residues on living beings, has created this monster. Mother has been down here for centuries. 'She' is very intelligent but with a healthy(?) touch of madness, unable to grasp or acknowledge her origins. However madness means that even if she is evil, she won't immediately attack the party. If they behave, they might even be able to forge a perverted alliance of some kind with her. After all, this thing can spawn creatures that are totally loyal to her... Sure, this alliance will end at the absolute worst possible moment (for the players of course), but that's exactly what I want. Some cool ideas and results from your crafting. Suitably creepy! All I can think of is to cook burgers with this! Looks great and as you say always be super careful with hot glue and pointy objects. Thoroughly disgusting! Meaning, great job! You really pulled of the fleshy look. I copied (quoted) all the content from the original thread in the old message board. 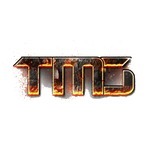 Please do not use the old thread for any further postings, as I will not transfer them to this one. 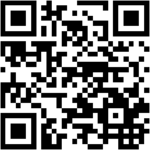 All new postings will appear only here in the future. Dude.. 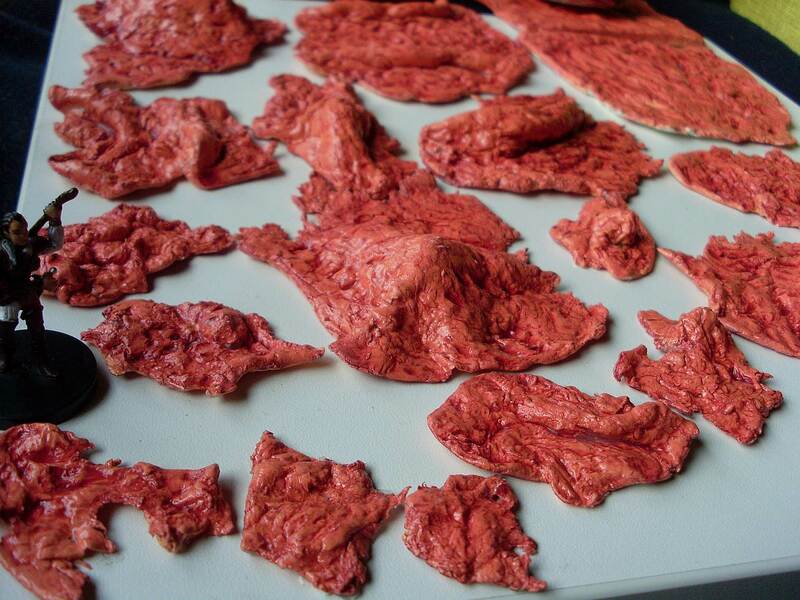 I work in a genetics lab, with biologists.. and on some off time between processing samples I showed them the flesh tiles you made.. and they got the heebie jeebies. Well done, if you can do that to us, I shudder to think how your players are going to react! Really looking forward to seeing your Deep Spawn Mother! 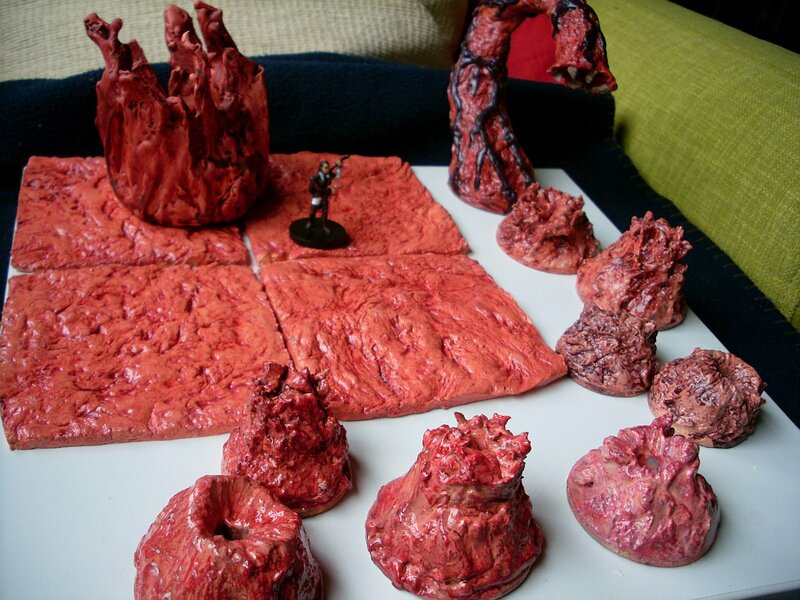 I think I will have to do something like that also, I wouldn't mind making some Ropers as well, and terrain custom made for them to blend into, so they can spring out on the players (like the fleshy Pseudopods). Consider this idea STOLEN!! As soon as I find one of these strainers at the dollar store... AWESOME!! @ wilmanric: Thanks. I can't wait seeing what other people do with this idea! 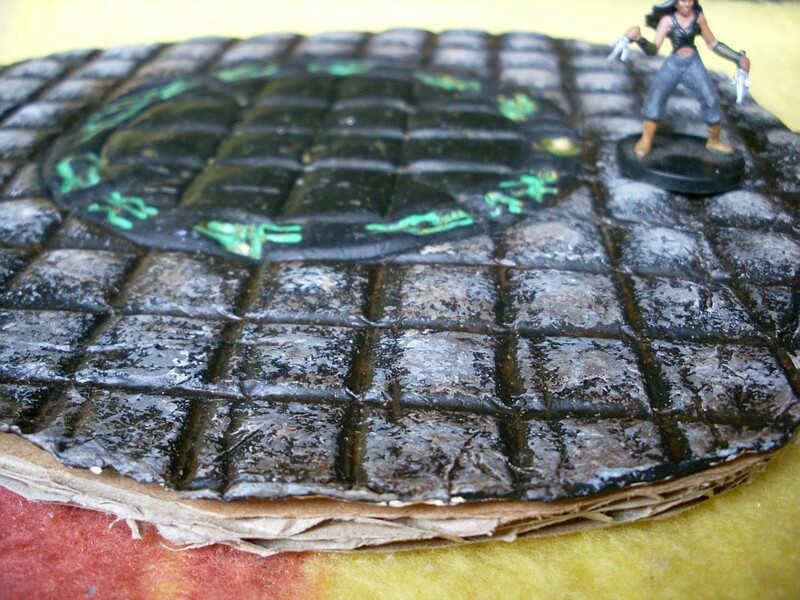 2) For the areas beyond the circle, I used the sponge technique (similar to DMScottie's Road tutorial) three times (some pewtergrey-ish shade, then one lighter grey and some stipples of white), plus a brown wash. I probably will give it another brown-ish wash later. 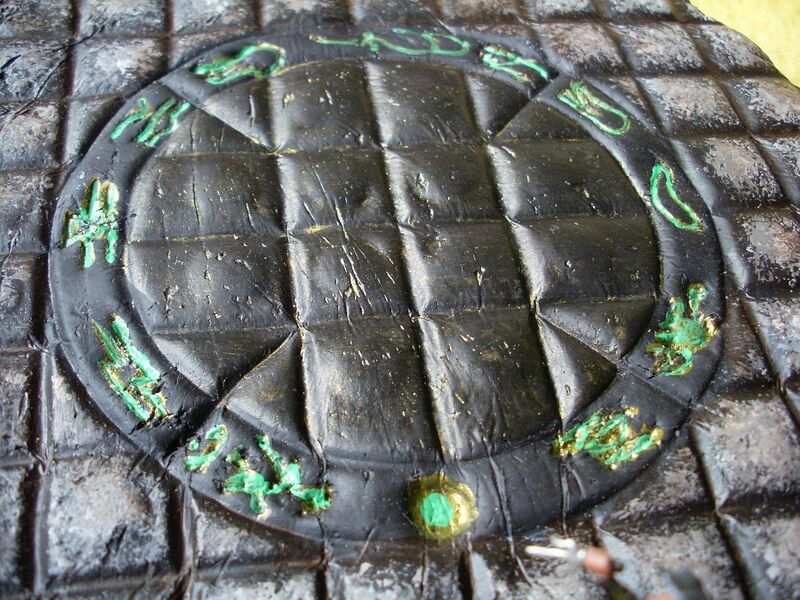 The runes were painted with a metallic green and later a light green inside to achive a glowing effect. I'm not happy with the result, as I wasn't able to draw clean/exact enoughso the lightgreen is smeared in most places, plus I don't really like the combination of the two greens. Lesson learned: experiment before working on your real stuff! Also, the area inside the circle was washed in watered-down metallic green. 3) Glued with PVA glue to a strong cardboard base to prevent breaking during transport, storage & play. 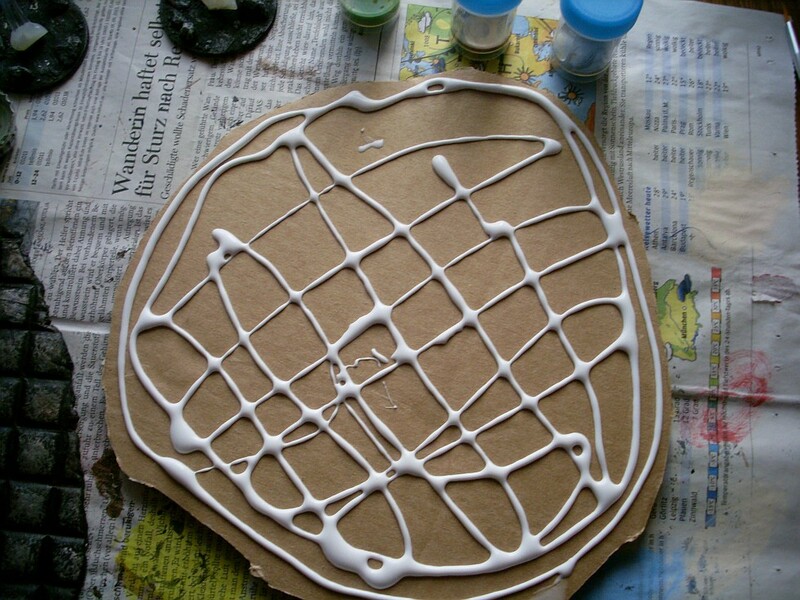 I hope that PVA glue bonds as well with clay as it does with cardboard... When it's dry, I will the hide the corrugation using hotglue & paint. Wow. Looks fantastic, IMO. I would not change a thing. Cheers! All future postings about Mother will be put into their own thread, since this is not a tile but a monster. AJ, I just re-read your post... thanks for the praise - you made me madly giggeling when I read I'm able to scare biologists working in a genetics lab! 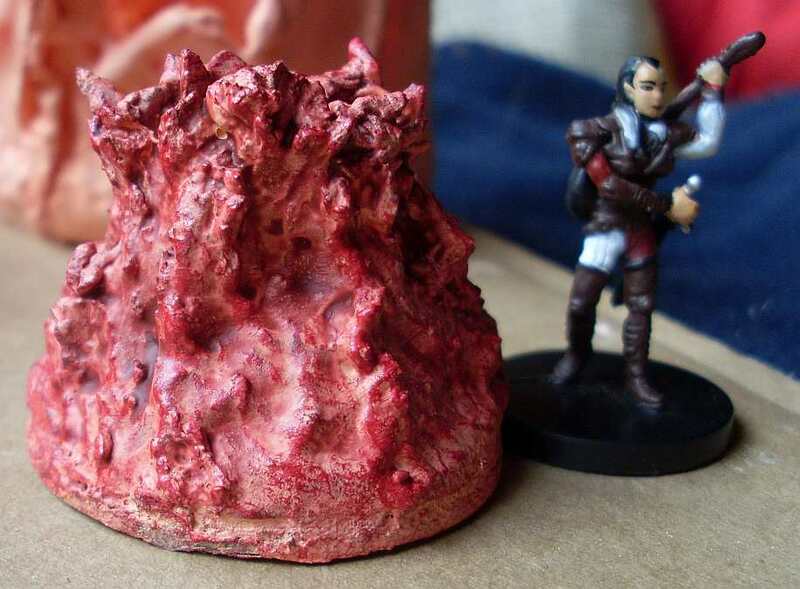 For Ropers, I would build regular stalagmites as per Scottie's tutorial and discreetly glue some neodym magnets or metal strips on it. Hide them under the painting and they are almost invisible. When a PC comes near that 'stalagmite', you just have to tack the magnetised tentacles on. Of course that doesn't give the creature a mouth, but you can always describe that the stalagmite contorts and a mouth opens somewhere. 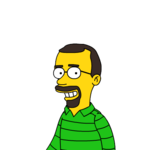 ...not exactly a tile as the thread title suggests, but I want to keep the number of places where I post my stuff as low as possible. And hey, after all it's terrain, even if it's not quite on the ground! I use styrofoam cubes and other shapes as core, but you can just as well use crumpled aluminum foil* or simply crumpled paper. Even small cardboard boxes (packages for soap, teabags or whatever) will work. 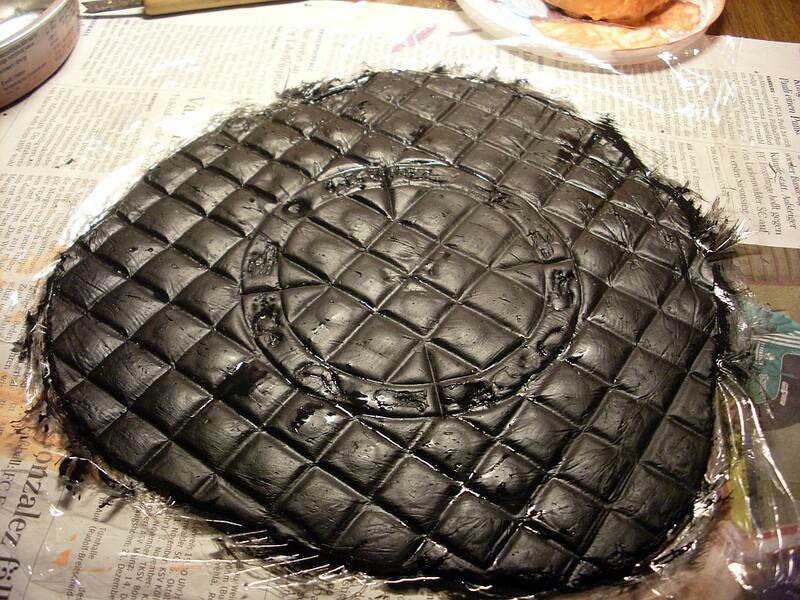 The paper maché will conceal the original shape if applied thick enough. * I avoid that variant as much as possible because this stuff takes an ungodly amount of energy and natural ressources to produce. Yes, it is dirt-cheap, but I want to do as little harm as possible with my hobby, so aluminum foil is never used when I have other options that work just as well. Heck, the water I used to soak the TP is from yesterday's painting session, and some of the TP was used to clean my brushes afterwards. 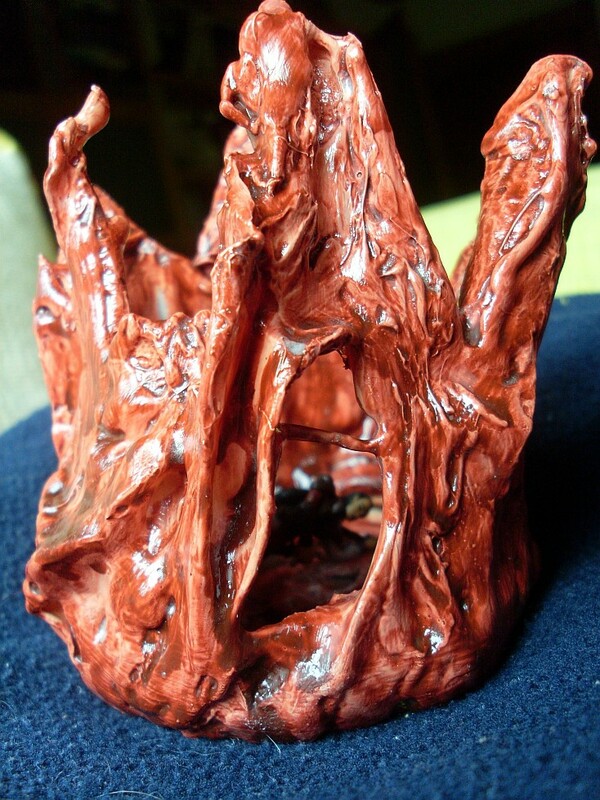 It dried for a day and I simply resoaked it, so it worked perfectly as paper maché. Never throw something away that can be used still - at least as long as you have storage space and your wife/husband/s.o. doesn't look too funny at you. TP or kitchen roll, or whatever floats your goat. Just remember that you'd better apply only one side and let it dry. 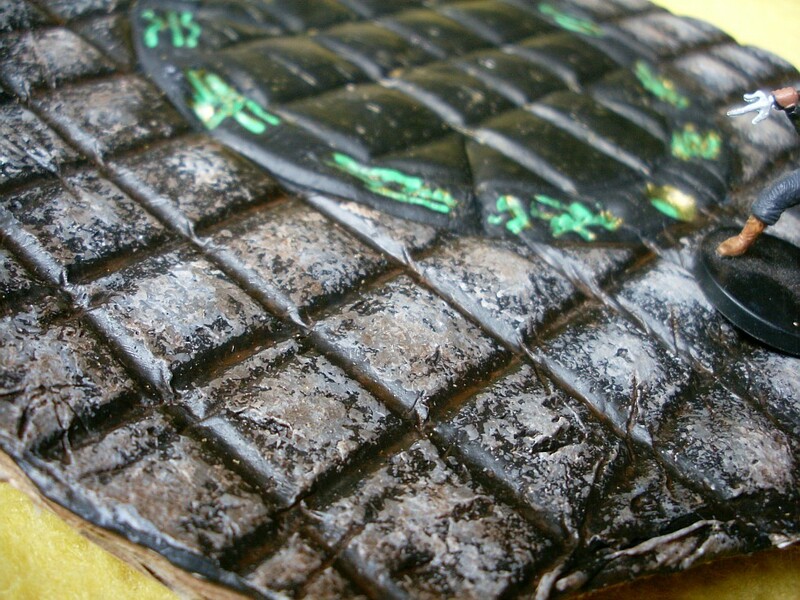 And don't forget to apply a bit of whiteglue around the edges of the side you're working on, so that the paper maché can be wrapped around the corners (about 1-2 cm in my case). ...and that's where I stand at the moment. I saw some warhammer temple bases on ebay (for the umpteenth time) and decided to finally give 'em a try. They look gorgeous, but not like it takes an artistic genius to make something similar. 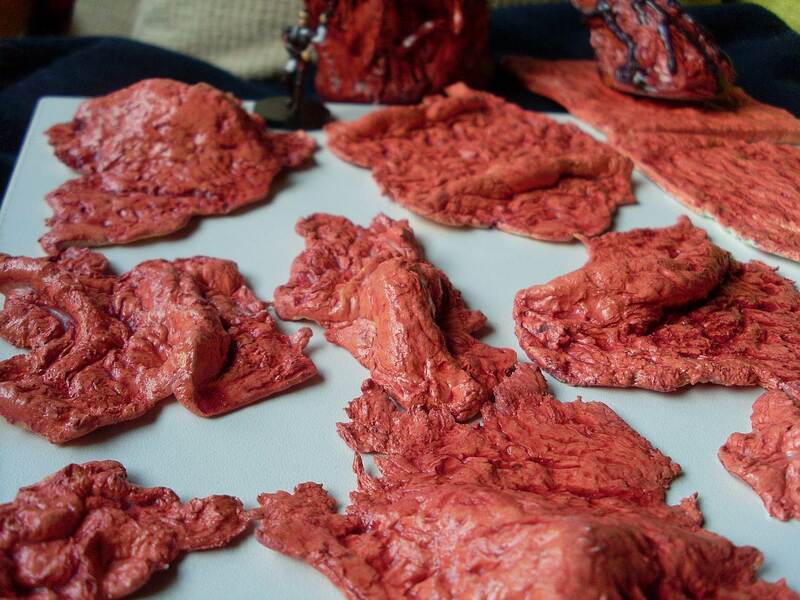 Take some (air dry) clay. 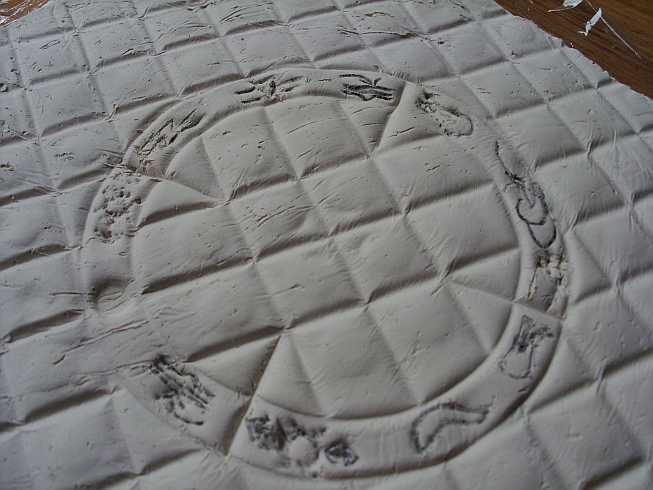 Use some circular forms (like cans or lids) to stamp circles. Bonus points for getting them correctly centered. Go wild. I carved in some runes from a fantasy alphabet I found after 2 mins online research because I didn't feel like making the signs up on the go. 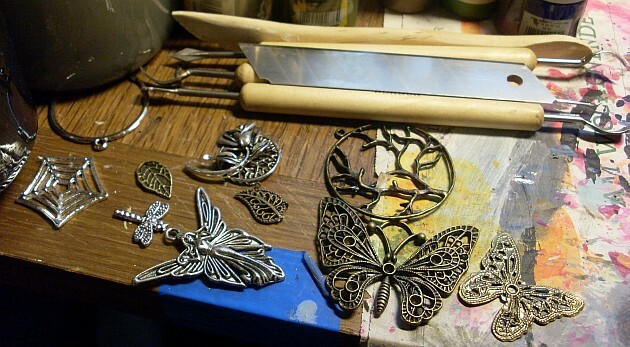 The smaller tile was made from leftover clay, stamped with some DIY-jewellery stuff. 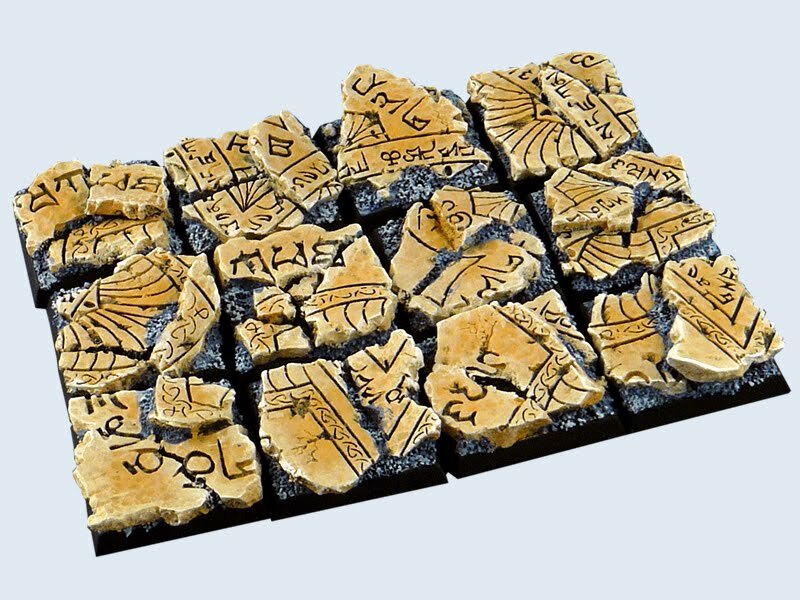 When all is totally dry, I'll break them up and use them as broken tile floor in my Ruined City setting (the one with the walking ruin), all painted up and surrounded by grass and bushes. Should look great, provided I don't screw it up.